I have a question for you. 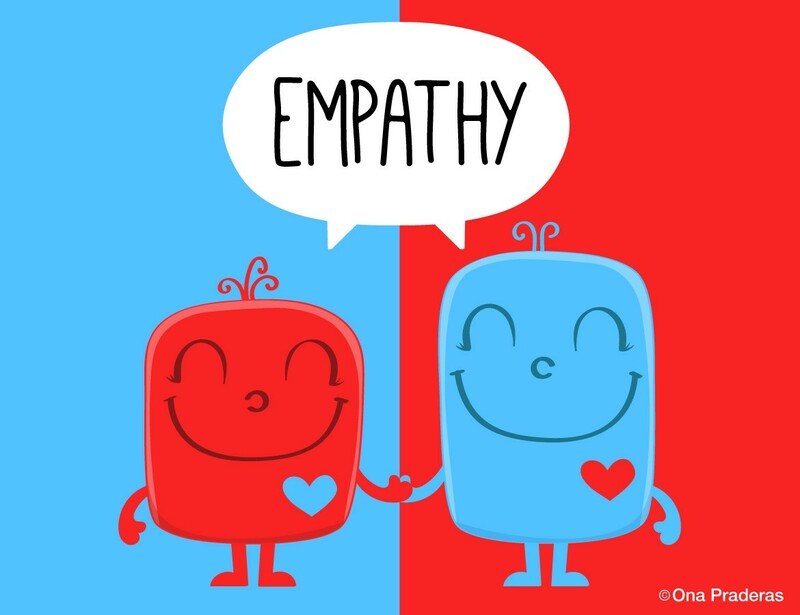 Do you know the difference between empathy and sympathy? Two very similarly spelled words. Two words that are commonly used incorrectly. feelings of pity and sorrow for someone else's misfortune. 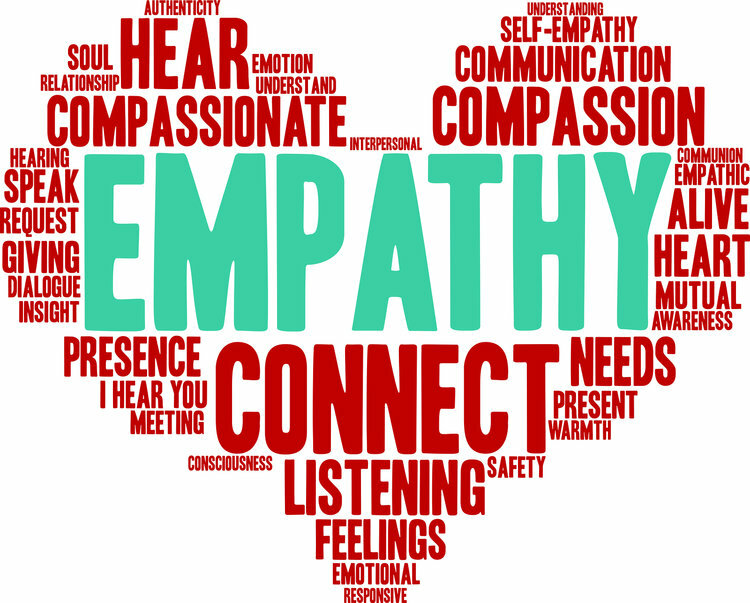 The ability to feel sympathy for others is a great part of what makes us human, and it's what compels us to reach out and offer help. 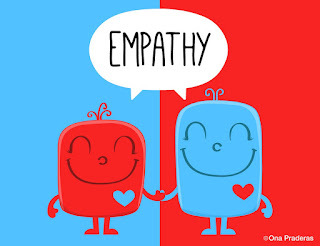 So have sympathy for people who confuse this word with empathy — they're awfully close in meaning. Feeling sympathy means you feel sorry for someone's situation, even if you've never been there yourself. 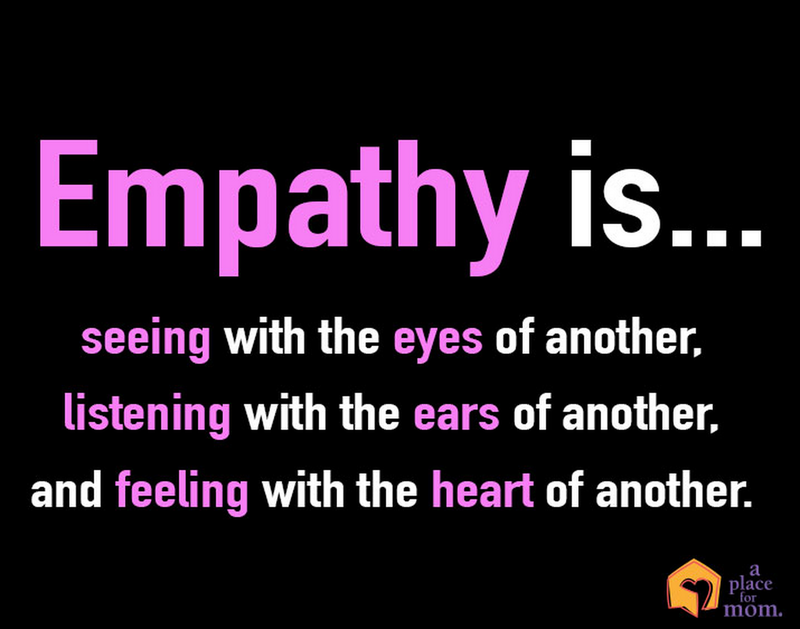 Empathy is when you truly understand and can feel what another person is going through. 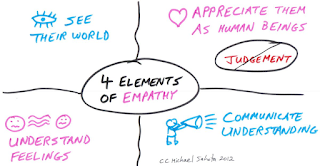 Empathy is heartbreaking — you experience other people's pain and joy. Sympathy is easier because you just have to feel sorry for someone. Send a sympathy card if someone's cat died; feel empathy if your cat died, too. So why am I focussing on this topic? 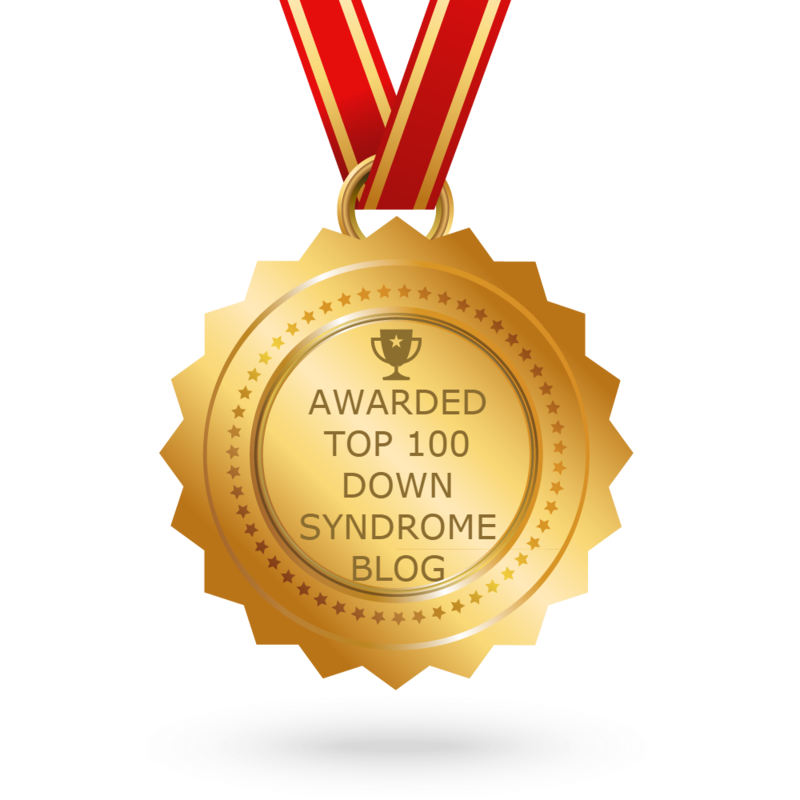 My blog is titled, Crouzons, Downs and Me...Love and Life. This title does not truly capture the whole realm of my existence. I roam in so many different circles in the world in a medical sense and a family sense, that I understand what many people are going through. I can't just give my attention to one cause, as many people are able to do, because I do deal with a multitude of issues. For example, Crouzon syndrome (craniofacial syndrome), hydrocephalus, Chiari malformation (spinal issues), Down syndrome, heart defect, mental illness, bullying, domestic violence, inclusive education, Coeliac disease, visual impairment, osteoarthritis, multiple miscarriages, financial difficulties, family dysfunction. .. and if I keep thinking there would be more. I often joke that I don't live in this world, my body is here but I actually reside in my alternate universe. I say this as I often feel alien to what other 'normal' people go through. People from all over the world message me about their situations, and I know why. I take the time to listen to them and share my walk with them. I offer advice if they request it. People know that I do truly understand what they are going through. I have an arrow in my back, just like they do! 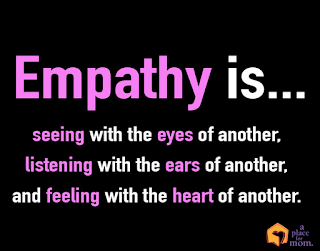 So what if you want to feel empathy but you haven't experienced what someone else is going through? I genuinely think it is possible. Maybe you have been through a similar situation, or someone else you know has, or you have been through something that had a similar outcome. For example, someone may have lost their job and had to sell their house. That may not have happened to you, but you've had financial difficulties where you've had to watch every cent and you feared to lose your house. Maybe you know someone going through IVF. and has miscarried. Now you may not have gone through IVF, but you know how hard the process is, and you yourself have miscarried and know the grief that comes with losing your baby. 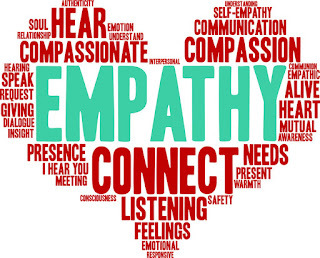 Showing empathy is trying to imagine what the other person is going through, and endeavouring to see their world how it is. You may not agree with the choices they've made or the circumstances they are in, but you cannot be empathetic if you are being judgemental. The person is a fellow human being and they are hurting. 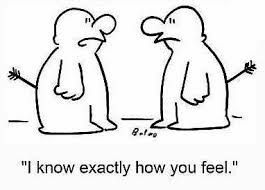 Talk to them and find out what they are feeling and actively listen to them. Ask questions but don't offer advice unless they request it. 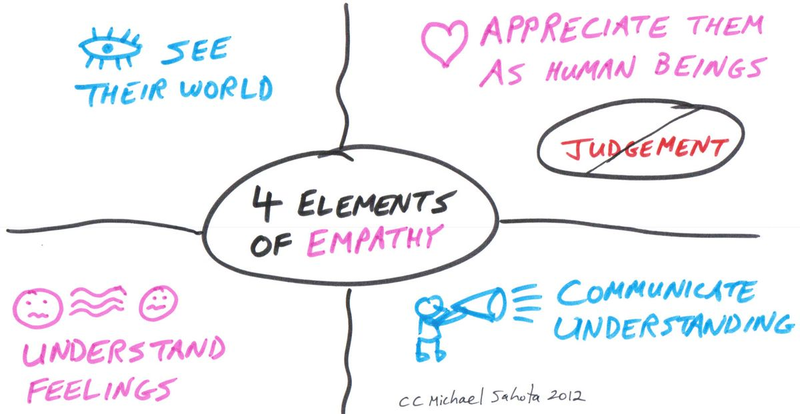 You cannot ease another person's grief - it is a process they need to work through. You may be able to give some short-term solutions, but generally, the person will need to work their situation and deal with whatever that means. Most human beings want to feel connected with other people. They want to know that other people understand or will try to understand their situation. Unfortunately, so many people are so preoccupied with their own lives that they often don't reach out to show empathy to others. My challenge for you is to reach out to someone today who is hurting. You may just be the blessing they need.